Over the last four years, the whole of Kenya has experienced the worst drought it has known in over a century. Almost 10 million people are on the verge of starvation, including those living in the area immediately surrounding the project. When we visited the Sustainable Community Development, Daniel and I found the local Thika River completely dry. Families are completely dependent on the river for all water supplies. They have lost almost everything, their income, livestock and seed. We discovered the project feeding an additional 3,000 local school children everyday as their only source of food, from their own resources. They had also been feeding 100,000 refugees for a year after the post election violence of 2007. All without receiving international aid. The drought has broken, the project dams are full with enough water to supply the community and farm needs for up to three years in a future drought. The Thika River is full and the purification plant almost completed. However the 10,000 families living nearby need our help to restock their small farms with seed and animals so they can start again. Please be an Angel and help these families. 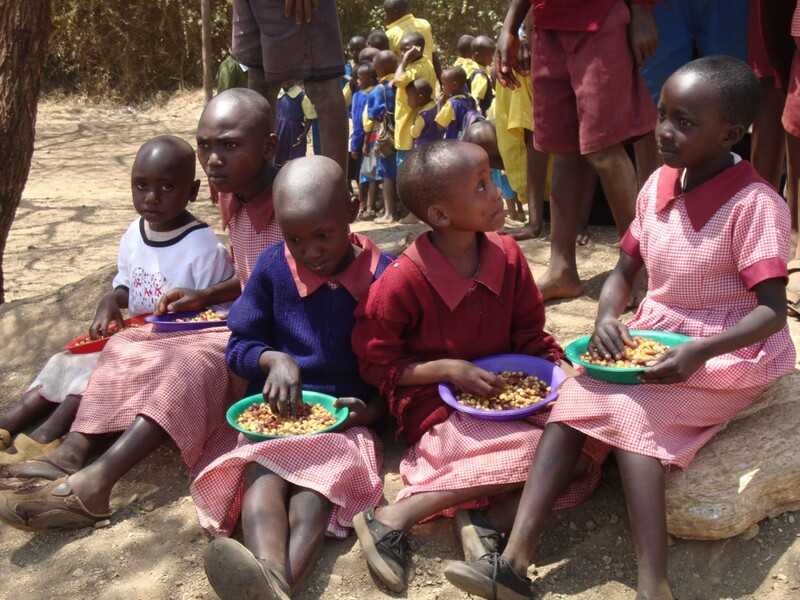 Give to provide food for their children in the school feeding program, water points so they have access to safe drinking water, a goat, a few chickens or a small micro-loan to help them begin again.